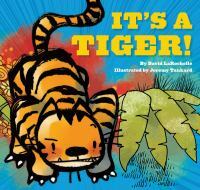 We concluded our 2-week rotation of "Jungle"-themed storytimes with the Storytime-To-Go program this week. Like most animal themes, this one was well-received and had some great books and fun activities. I saw an average of 4-5 groups each day for a 20-30 minute storytime per group. Each storytime started with an introduction, the letter-of-the-day (Jj), and our "story song", followed by 2-3 book and 1-3 activities. Count The Monkeys by Mac Barnett & Kevin Cornell, highly interactive, silly, very fun! And I completely forgot to include my favorite book in the photo above because it wasn't with the others, It's A Tiger! by David LaRochelle & Jeremy Tankard. This is a great storytime book because it can be very interactive and include lots of movement in acting out the story: running, stooping down, climbing, swinging, jumping, and swimming. I always tell the kids, "You know how when we have stories I ask you to sit criss-cross applesauce and put your hands in your lap? Well, guess what! Our next story is NOT a sit-down-and-be-still story, it's a stand-up-and-move story!" There were a couple of other songs and rhymes I tried, but didn't really seem to go over that well, so I'm just going to include the ones the kids really liked and I used repeatedly, which were the two different "Five Little Monkeys" rhymes, and a song that allowed them to make animal sounds. Teasing Mr. Crocodile, "Can't catch me!" And SNAPPED! that monkey right out of the tree! Just Mr. Crocodile, as happy as can be! I had a storytelling glove and velcro monkeys and crocodile I used sometimes, but sometimes I just did the hand motions so I could do the big clap at the end. Jungle one day, jungle one day. And this is what he said: "Roar, Roar!" Fill in the blanks with appropriate animals and sounds (or say "did" instead of "said" to incorporate actions). Suggestions are: monkey - "Ooo, ooo; eee eee", elephant - trumpet, crocodile - snap, snap, gorilla - beat chest, tiger - "Growl, growl", etc. I used the photos above to hold up so they would know what animal to say for each verse. The kids really enjoyed this theme. The books *I* enjoyed doing the most were Count The Monkeys and It's A Tiger!. They seemed to work well with all ages, and we all had a lot of fun with them. When I was giving my spiel about It's A Tiger! being a stand-up-and-move-around kind of a book, not a sit-criss-cross-applesauce-and-be-still kind of a book, this one boy started smiling. I asked him if that sounded good to him, and he smiled even bigger and nodded enthusiastically. This is a must-have book for any storytime collection, in my opinion. What To Do If An Elephant Stands On Your Foot worked well with the groups that were a little older or more sophisticated who could follow the humor. The other kids still seemed to like it, but they didn't really get it or fully appreciate it. I further demonstrated the relativity of small and tall after reading Tall by first having two kids stand, and asking the group if the taller child was tall or small. Of course they all said "tall". Then I stood up and asked, "What about now?" and they all giggled. Wild Child is probably most appreciated by adults, or older kids with a colicky younger sibling at home. They all loved doing both "Five Little Monkey" rhymes and already knew them, so I had great participation, and of course they never get tired of making animal sounds, especially roaring! I have learned to leave the roaring to the kids; after multiple storytimes roaring will destroy your voice! Same for the hard clapping, after a while, it starts to hurt.